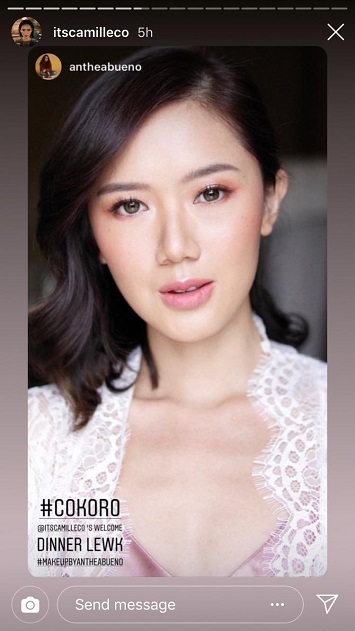 Camille Co popped some big news on her Instagram account on the day of her wedding to Joni Koro in Italy. "We’re a few hours away before I walk down the aisle to marry my gentle giant. Only a few people know this but last October 19, 2018, Joni and I actually already did a quiet civil wedding with just us and 3 witnesses. I didn’t think much of it though. I didn’t even want to dress up! But my friends knocked my head and convinced me to put some effort [into] it. Although we’ve been married on paper, we still lived as if we’re not married—separate houses, separate lives. Today, all that changes. Today, we get married in front of our loved ones. Today, #Cokoro truly becomes husband and wife. Cue Dice and K9!" 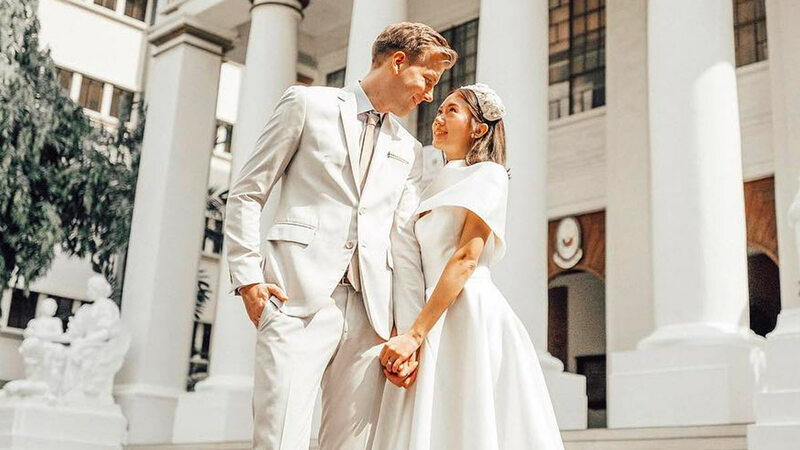 Just two months ago, Camille and Joni had their formal Chinese engagement ceremony or ting hun, in an extravagant affair. Remember her super sweet messages to Joni, who was also celebrating his birthday that day? 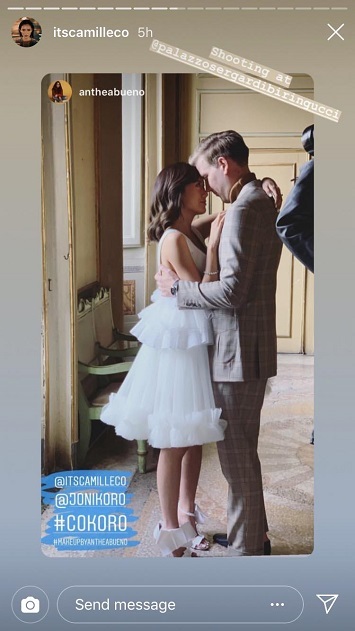 Yesterday, Camille uploaded a vlog about her wedding preps, which started before she flew to Italy. A few days ago, Camille dropped their pre-wedding video, filmed by Mayad Studios in Culion, Palawan. 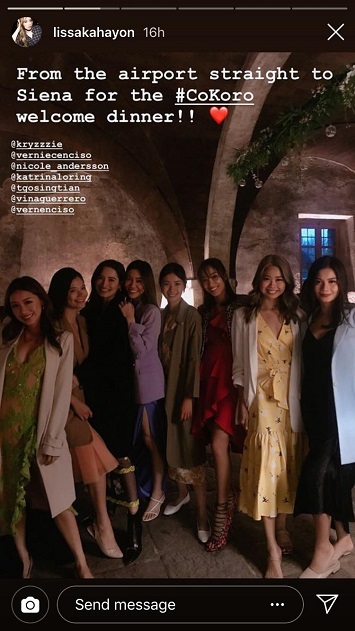 Last month, she and her blogger besties spent an entire weekend in Hong Kong for her bachelorette party. 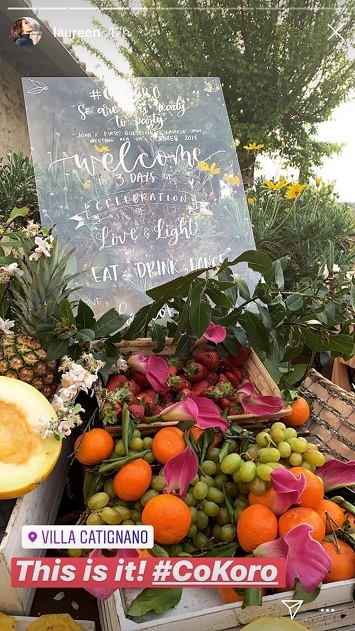 We've been following Camille's wedding preparations since her engagement in September 2018, and we can't believe they're finally "officially married" today! Their funny and witty hashtag #Cokoro is just one for the books. They had their welcome dinner in a beautiful villa in scenic Siena, close to Tuscany. Of course, the gang was there! Congrats and best wishes, Joni and Camille!